Regency Hotel & Leisure Club Distance to the centre of town 3.2 km price per day from €59 With an indoor swimming pool and hot tub bath, The Regency Hotel is less than 10 minutes’ drive from Dublin Airport. A range of beauty and pamper treatments is available for an extra charge, including hot stone massage, Indian head massage and facials. Bright and traditionally furnished, each air-conditioned bedroom includes a private bathroom with a salon-style hairdryer. Each contemporary room was refurbished in spring 2014. Oliver St. John Gogarty's Penthouse Apartments Distance to the centre of town 0.5 km price per day from €99 John Gogarty's Penthouse Apartments are located in the heart of Dublin’s Temple Bar. They combine a dining room, living room, walk-in shower room and fully equipped kitchen. With wooden floors, these bright apartments feature flat-screen TVs and free WiFi. Kitchens provide cookers, microwaves and dishwashers, as well as crockery and utensils. Gogarty has its own on-site restaurant and there are plenty of fantastic eateries in Temple Bar. Temple Bar Apartments Distance to the centre of town 0.5 km Located in the heart of the vibrant area of Temple Bar in Dublin, Temple Bar Apartments offer spacious contemporary accommodation with free Wi-Fi. The banks of the River Liffey are less than 200 feet away. The apartments feature wooden flooring and are decorated using neutral colours. They are equipped with a modern kitchen featuring a dishwasher and microwave. There is a spacious lounge and dining area as well a TV and a modern bathroom. 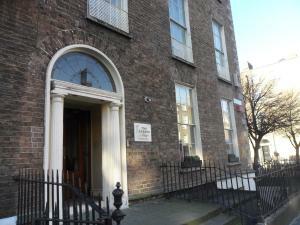 Hazelbrook House Distance to the centre of town 0.4 km price per day from €37 Conveniently located in the heart of Dublin and 10 minutes' walk from Croke Park, Hazelbrook House offers affordable bedrooms with en suite facilities. This Listed building boasts Georgian architecture and interiors, offering bedrooms with high ceilings. Free Wi-Fi is available in public areas and hairdryers are available from reception. Dublin Castle and Trinity College, where you can view the famous Book of Kells, are both within a 10-minute walk of Hazelbrook House. Leeson Inn Downtown Distance to the centre of town 1.8 km price per day from €50 Set in a 19th-century Georgian building, the Leeson Inn Downtown is 5 minutes’ walk from St Stephens Green and Grafton Street. Rooms include bathrooms with showers and hairdryers. 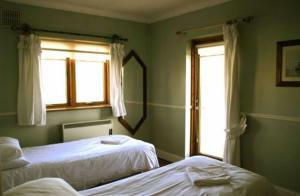 Rooms feature irons, radios and tea/coffee-making facilities. Continental breakfasts are served each morning at the Leeson Inn Downtown. The hotel has a 24-hour reception and multilingual staff can assist guests with reservations for restaurants, theatres and shows. SIDC Serviced Rooms and Apartments Distance to the centre of town 2.7 km price per day from €28 Adjacent to Leinster Cricket Club, SIDC Basic Rooms and Serviced Apartments offers free WiFi throughout. Guests can prepare meals in the shared kitchen, which offers an oven, kettle, fridge, and a microwave, along with a dishwasher and a washing machine. SIDC Basic Rooms and Serviced Apartments is just a 5-minute stroll from supermarkets and chain-restaurants. Buses from directly outside the building have connections to central Dublin, the beautiful Wicklow Mountains, and the seaside at Sandymount. Sky Backpackers Distance to the centre of town 0.3 km In the heart of Dublin city, Sky Backpackers offers budget hostel accommodation, with free high-speed Wi-Fi and regular live music. Temple Bar and O'Connell Street are just 5 minutes' walk away. Sky Backpackers was previously the recording studio for U2, David Bowie, Def Leppard, The Cranberries and Van Morrison. Guests can relax in the TV room with access to games and books. The vibrant Temple Bar District and Grafton Street are just a short walk away. Travelodge Dublin City Rathmines Distance to the centre of town 2.8 km price per day from €54 Situated just 15 minutes' walk from St Stephen’s Green, the Travelodge Dublin City Rathmines offers budget rooms with power showers. 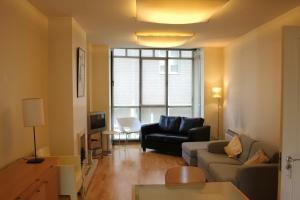 Trinity College and Temple Bar District are 25 minutes’ walk away. Rathmines includes many shops and restaurants within a 15-minute walk. Each rooms at Travelodge Dublin City Rathmines includes a flat-screen TV and tea and coffee making facilities, along with an en-suite bathroom. 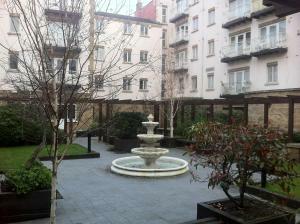 Abbey Court Apartments Distance to the centre of town 0.3 km price per day from €80 Located in the heart of Dublin, by the river Liffey, Abbey Court Apartments offers self-catering accommodation with access to a shared garden. 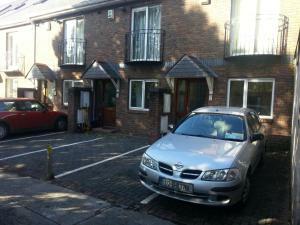 The apartments are just 400 metres from Temple Bar and less than 2 km from Croke Park Stadium. Featuring a bath or shower, private bathrooms also come with towels. At Abbey Court Apartments you will find an airport shuttle, a 24-hour front desk and a bar. Other facilities like a shared lounge, a games room and a laundry are offered.